As many of you asked for a continuance of my stories, I decided to write about the life I've led and a bit about a special house that blended the paranormal with the normal... My Great Grandmother Nonnie's home... Of course, I had promised to write of my Grandmother Bessie in the first installment, but it does seem that I should follow some progression of time to properly introduce the family and times to you. 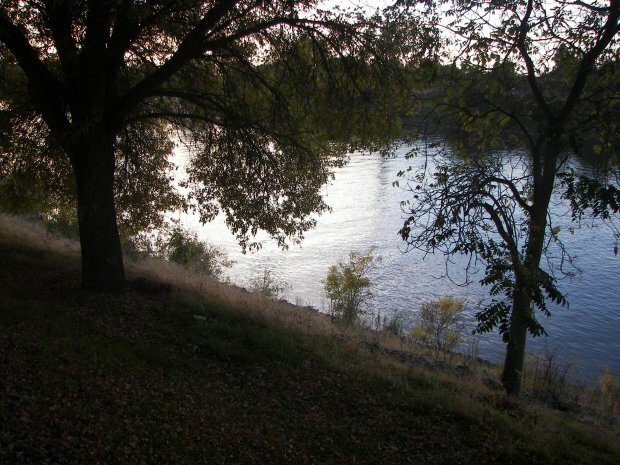 The Globe Mill investigation (sponsored by HPI - Haunted and Paranormal Investigations) was changed to go to a new set of locations - One near the Sacramento River with an access point that overlooked where a murder took place many years ago. There were definite psychical impressions of the area with my own senses pulling me left from the location where we first walked in to view the river area. Of course, we should begin at the beginning and not get to the interesting stuff first! The team initially met up at the advertised destination and I immediately bumped into Holly who made me feel quite welcome to be there. Shortly thereafter, Paul rounded everyone up and off we went to meet about the impending investigations of the day. I got a kick out of meeting Paul for the first time. Had read his articles for quite sometime and found him to be a very intelligent and surprising individual with a deep knowledge of historical and technical aspects of the paranormal. I suspect I will learn quite a bit just by watching this guy in action in the future. We were treated to two investigations, one being the I-5 killer crime scene not far out of Sacramento and the other being a private residence investigation in Orangevale, California. 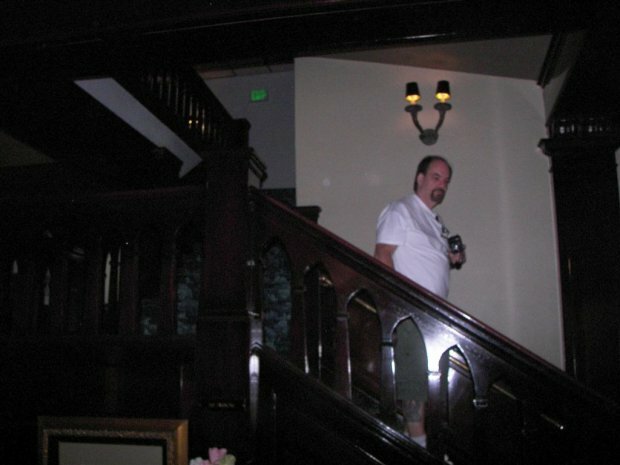 On August 18'th of 2007, I investigated, as a member of HPI, a number of potential haunts in Placerville, California. The Cozmic Cafe- or Pearson's Soda Works. 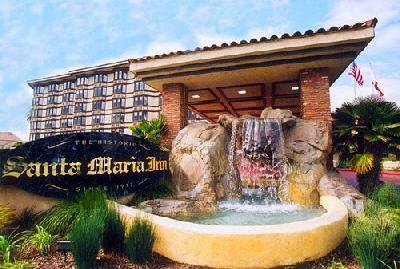 On July 27, 2007, I investigated room 210 at the Santa Maria Inn. This room is reputedly haunted and I arrived at the inn around 8pm just in time for dinner with friends and finally returned to the inn around 10pm. Thus I was forced into an accelerated plan for investigating the room. Creative Zen Vision W digital recorder. Sony SR80 60gb digital camcorder. On entry to the room, I deployed the SR80 camcorder on a standard tripod and pointed it at the door, which is reputed to have Rudy Valentinio's ghost haunting this room. While unsure that this might be Rudy or anything out of the ordinary, it seemed to be the best part of prudence to go ahead and go with what had been available to me as far as information from the Internet and other sources. 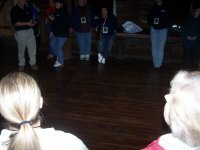 A baseline EMF scan revealed that there was a constant EMF field of 1.5 to 2.0 at the front of the door and this field extended out into the hallway. Standing in the hall for a moment quietly revealed that there was a feeling of vibration or floating that at first made me wonder if there was an earthquake or some other event happening. When it became clear that this was not the case, I began looking for electronic pollution. Inside room 210, there are two electrical outlets on either side of the door. Scanning the inside left plugin revealed a constant 3.0 milli-gauss reading. The right field had a constant 1.0 to 2.0 reading. Extending further into the main room area gave a reading of 1.0 to 2.0 that ran 15 or so feet in towards the back end of the room. 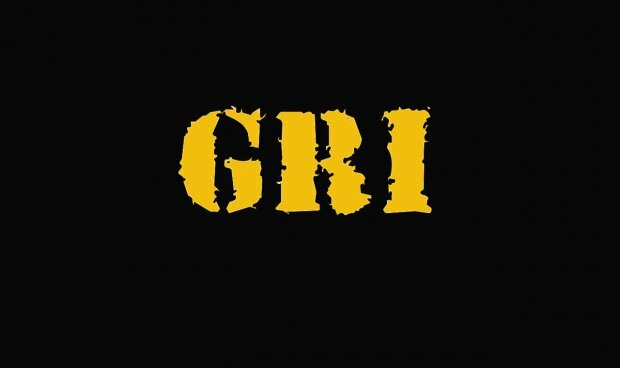 GRI is based out of the Sacramento area. We are a new research group and are learning our craft through monthly expeditions to check out haunted locations across Northern California. Our inventory of equipment is the envy of many other groups, with a 4 channel DVR and infrared cameras as our centerpiece recording system along with a wide array of digital cameras, infrared filters, digital and analog tape recorders and a range of complex EMF recording gear. You can reach our team via the contact link to arrange for our group to conduct an investigation. We must emphasize we are in a learning mode and thus can only provide basic investigative services at this time. We have conducted a number of test investigations throughout 2007. We have several remaining to do before the end of 2007. In early 2008, we will begin looking at taking on additional team members and training our staff for monthly investigations and analysis. Our investigations will mirror the aspects of TAPS investigations where every effort will be made to debunk, disprove and eliminate causes of reported activity until it can no longer be explained or refuted. I did have an unusual occurance of chasing an EMF field around the second level of the Brookdale in the conference room. The readings went from 0.4 to 0.6 consistently and moved around this room. After only a few minutes the meter suddenly went crazy, flashing all sorts of digits on the LCD readout and then suddenly returned to 0.0, indicating no field being measured. The meter has been reliable and not prone to these displays in the past. I'm intrigued enough that I'll be going back to the Brookdale to try my hand at investigating one of the haunted rooms there.